While attending the NeoCon show this week I was surprised to see many products were displayed in the color of white. Almost all of the desk worksurfaces were white. With so many great laminate colors available I began to think, why would all the worksurfaces be white? One idea that came to mind is that white is neutral. Maybe the designers are trying to not offend someone with a color choice. 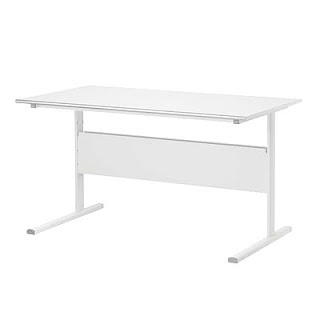 With white, Interior Designers can imagine the desk in a color that matches the aesthetic of a room’s design. Personally, I think choosing a color in a design is important. The best example I can think of is how you dream of owning a red sports car. Some people may even find the color of their dream car to be more important than the make or model. Spectrum designed a neat blue point a care cart for a local hospital. The client, when presented with color options, chose a rich blue color matching their logo color. Now in the multitude of mobile equipment in the hospital whenever someone needs a point of care cart they refer to the, “Blue Cart.” I think matching the company’s logo reinforced the hospitals ownership in the design. Making color a powerful design tool. So ditch the white.